Dolce and Gabbana was perfect. That’s what summer should look like. I think my pal Amee put it best when she said, “Dolce & Gabbana SS11 is making me feel sick in an Isabel Marant AW10 way – nauseous, feverish, sleepless.” Me too, buddy, me too. Can’t say any more about Erdem that you haven’t already heard. Let’s just say white lace is replacing black as my favourite thing in the world. Goths in hot weather, take note. Three’s a trend, as we say in the world of short deadline journalism, and lo! 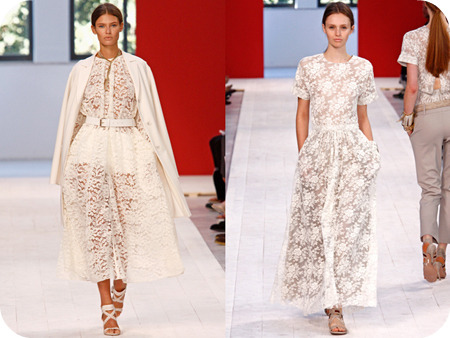 I spy THREE white lacy collections on the Milan catwalks. Alessandro Dell’Acqua’s Brioni is definitely reaching confirmation gown territory, but ah, I love it. 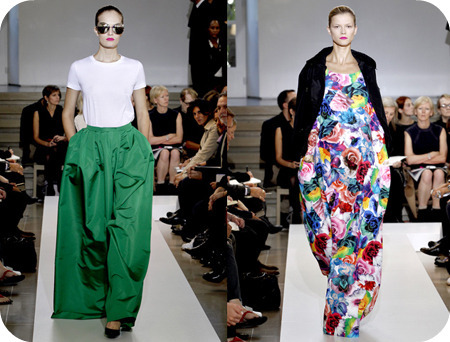 I hate Jil Sander for bringing back the peplum, but the colour in this collection is blissful. 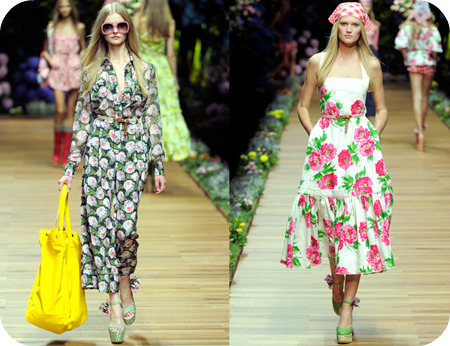 I do love a floral, and D&G did a suitably summery job. Alas, high street florals aren’t always top notch, and I fear that this collection – particularly the tiered maxis – might spell some horrendous imitations. Still, I look forward to being proved wrong in six months time.